This “cheesecake” is easy and tasty. As you can see from the above recipe from Eliza Smiths 1739 “The Compleat Housewife”, it is basically a 1/3 potato, 1/3 egg and 1/3 butter tart with some sugar and nutmeg added for flavor. Hints: Don’t skimp on the nutmeg. If it tastes too potato-y try baking it a little longer. 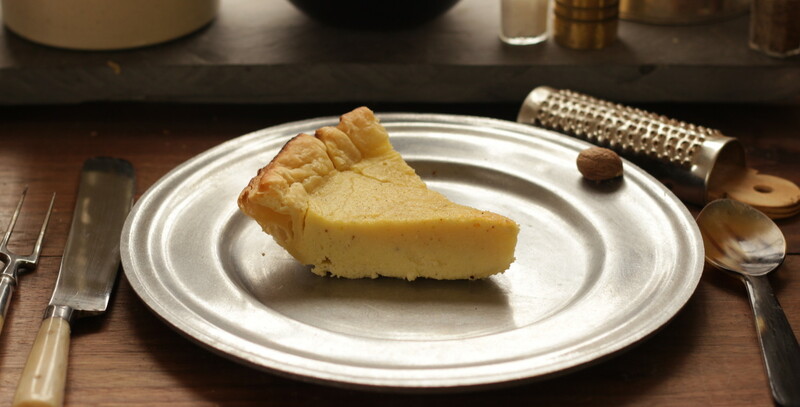 This entry was posted in 18th Century Cooking, Baking, Pies, Recipe, Video and tagged cheesecake, earthen oven, Eliza Smith, nutmeg, pie, potato, tart. Bookmark the permalink.